Am I entitled to buy a home in Canada? Canada has few stipulations about who can and can’t buy property. Even as a non-resident, you have the same ownership rights as residents and citizens of Canada. There are no signs that that is likely to change any time soon, but it is getting more expensive for foreigners to buy property in some places: in April 2017, the Government of Ontario introduced the Non-Resident Speculation Tax (NRST), a 15% tax on the purchase of residential property in the Greater Golden Horseshoe region of the Toronto area by people who aren’t citizens or permanent residents of Canada. Where are the best places to buy in Canada? What are you after? Cosmopolitan living? Shorelines lined with chichi craft shops? Frozen wastes? Rocky Mountain vistas? All-round winter sports? There’s no shortage of choice in Canada. Let’s start with cost. In the latest annual cost of living survey by Mercer, Toronto and Vancouver came joint 109th in the league table of the world’s most expensive cities. Also on the list are Montreal and Calgary. Meanwhile, a survey by Slice.ca reveals that Canada’s five cheapest cities are all in Quebec: Sherbrooke, Laval, Saguenay, Lévis, and Terrebonne. So ‘polish up your French’ is our advice. Best places to live? Well, the conclusion of moneysense.ca is that, thanks to its strong economy, low crime rates and great weather, that crown goes to Oakville, Ontario. Not only is it the best place to live overall, it’s the best place for New Canadians, the third best place to retire and the fifth best place to raise a family. If you need a mortgage, then you’ll be told the answer to this question quickly and in no uncertain terms. As a rule of thumb, according to Canada Mortgage and Housing Corporation (CMHC), your monthly housing costs (mortgage payments and utilities etc) should not exceed 30% of your gross monthly income and your entire monthly debt load (your mortgage payments plus those of all your other debts) should be no more than 40% of your gross monthly income. Before we get too far ahead of ourselves: if you’re going to need a mortgage, look into that before you start looking for your dream home. By getting pre-approval on a mortgage you’ll know exactly what you can and can’t afford. Some realtors won’t even speak to you until you’ve done this. Once you know exactly what you can afford – and not before – start looking online to see what grabs your fancy. The realtor.ca site, for example, lists hundreds of thousands of homes for sale across the whole of Canada. Most house sales are conducted through a realtor. Two in fact – one for the seller and one for the buyer. A Brit’s first reaction is to wonder why, because we are so inured to the ridiculous notion that the estate engaged by the seller could also take into account the buyer’s interests. The good news is that if the seller is using a realtor, he or she will pay both their realtor’s fees and yours. If the seller isn’t using a realtor, be sure to agree who is going to pay your realtor’s fees – if you don’t, those charges could end up in an invoice to you. What’s the maximum mortgage I can get? In Canada, the minimum down-payment on a property is 5%. If you’re putting down less than 20%, you’ll need mortgage default insurance, either from CMHC (Canadian Mortgage and Housing Corporation) or a private insurer. To obtain this, you’ll need to be able to satisfy the insurer that you’re going to be able to service the mortgage repayments. If you’re a non-resident, you’ll only be able to borrow 65% of the purchase price and so will need to stump up a down-payment of at least 35%. As foreign banks aren’t allowed to register mortgages in Canada, you’ll have to use a local one. Expect plenty of interviews and demands for endless documentation and information. You can go directly to a bank or to a mortgage broker. The advantage of the latter is that he or she will know the ins and outs of the mortgage marketplace and find one that suits your needs. They also get access to preferential rates. Brokers are especially useful if you fall outside the easy-to-assess ‘payroll monkey’ category – for example, if you’re self-employed, a contractor, own your own business etc. If you’re non-resident, make sure you choose a broker who is familiar with mortgages for foreign buyers. A real estate agent is legally obliged to look out for your interests and is bound a code of ethics. If you’re a non-resident you should also make sure you find a realtor who understands the ins and outs of foreign property ownership. Although a home inspection is not required by law, you should never risk purchasing a property without one. Home inspectors are regulated in some provinces but not in others, so choose with care and never take one suggested by the seller. See the Canadian Association of Home & Property Inspectors website at cahpi.ca. Once you and your realtor have agreed that this is the house for you and have come to a decision about a sensible price, he or she will put together an offer-to-purchase and send it to the seller. 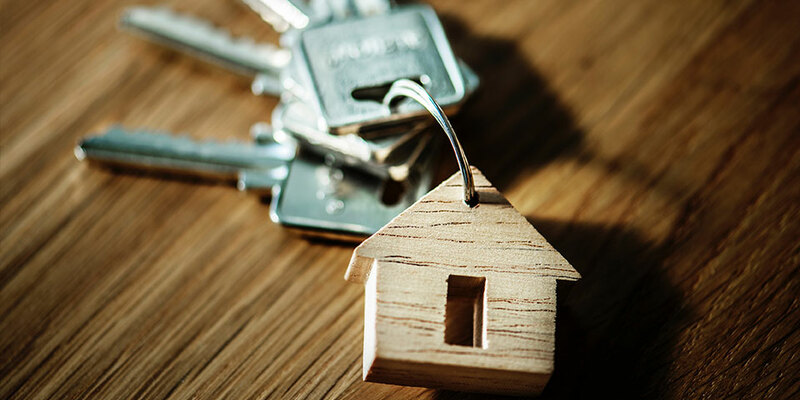 You may be expected to include a deposit of no more than 10% of the property price but this is refundable in the event of the sale falling through. Bear in mind that you could be in competition with other bidders, so don’t try to squeeze the seller too hard. In Canada, it’s common practice only to involve a lawyer in the later stages of buying a property. Their principal jobs are to review the paperwork, conduct a title search, register the deeds, look after the transfer of funds, and generally help you avoid falling foul of any traps. But the earlier you involve them, the better. Not only could they save you time and money, they could reduce the risks. If friends and family are unable to recommend someone, find a lawyer through the law society of your province. If you’re non-resident, make sure you find a lawyer familiar with the intricacies of overseas property ownership.